Around 30 percent of the world’s biosolids are stockpiled or sent to landfill, using up valuable land and potentially emitting greenhouse gases, creating an environmental challenge. Published this month in the journal Buildings, the research showed how making biosolids bricks only requires around half the energy of conventional bricks. As well as being cheaper to produce, the biosolids bricks also have a lower thermal conductivity, transferring less heat to potentially give buildings higher environmental performance. The EU produces over nine million tonnes of biosolids a year, while the US produces about 7.1 million tonnes. In Australia, 327,000 tonnes of biosolids are produced annually. About five million tonnes of the biosolids produced in Australia, New Zealand, the EU, US and Canada currently go to landfill or stockpiles each year. Using a minimum 15 percent biosolids content in 15 percent of bricks produced could use up this five million tonnes. Lead investigator Associate Professor Abbas Mohajerani says the research sought to tackle two environmental issues – the stockpiles of biosolids and the excavation of soil required for brick production. 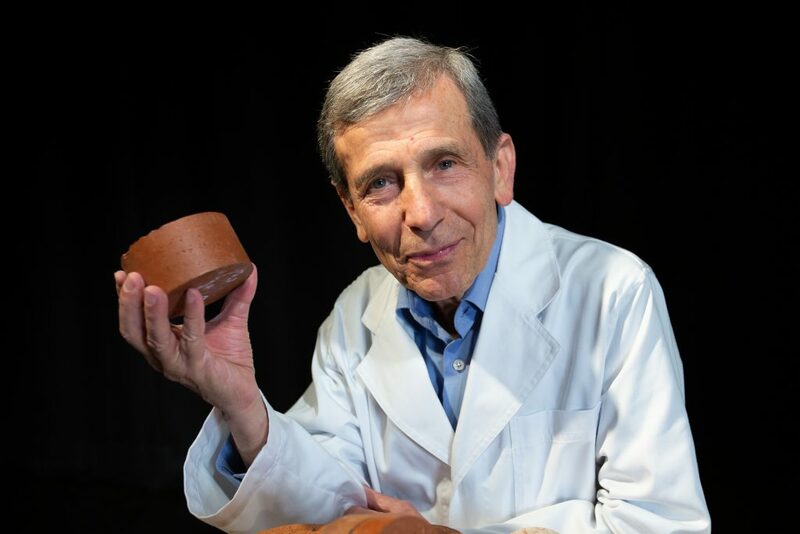 “More than three billion cubic metres of clay soil is dug up each year for the global brickmaking industry, to produce about 1.5 trillion bricks,” says Mohajerani, a civil engineer in RMIT’s School of Engineering. The research examined the physical, chemical and mechanical properties of fired-clay bricks incorporating different proportions of biosolids, from 10 to 25 percent. 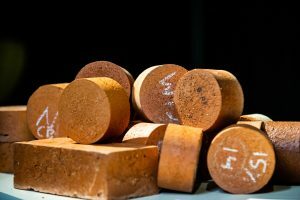 The biosolid-enhanced bricks passed compressive strength tests, and analysis demonstrated heavy metals are largely trapped within the brick. Biosolids can have significantly different chemical characteristics, so the researchers recommend further testing before large-scale production. The research also showed brick firing energy demand was cut by up to 48.6 percent for bricks incorporating 25 percent biosolids. This is due to the organic content of the biosolids and could considerably reduce the carbon footprint of brick manufacturing companies. The research, funded by RMIT University, Melbourne Water and Australian Government Research Training Program scholarships, is published in the 'Green Building Materials Special Issue' of Buildings (January 2019). RMIT University’s Associate Professor Abbas Mohajerani, with a biosolids brick. Stockpiled biosolids normally contain between 50 to 90 percent solids and resembles soil.